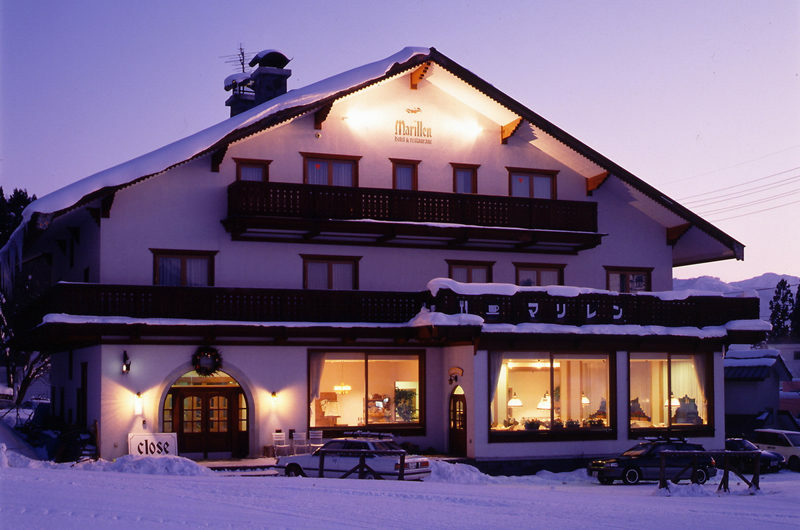 This Austrian style hotel and restaurant is situated in one of the most celebrated locations in Hakuba, offering a real ski-in / ski-out experience sitting right on the edge of the Nakiyama slope in Happo-One resort. 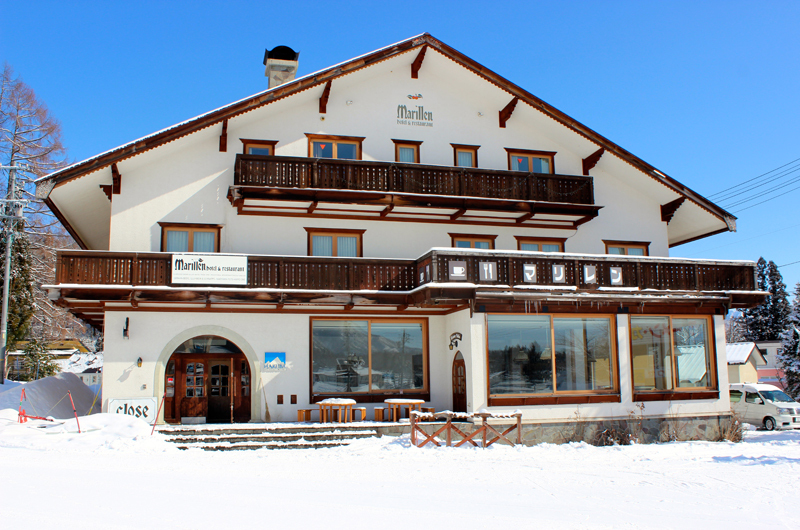 A warm, welcoming atmosphere – and the smell of steak and cheese fondue – await those visiting either for some food in the evening or for the stay of a whole holiday. 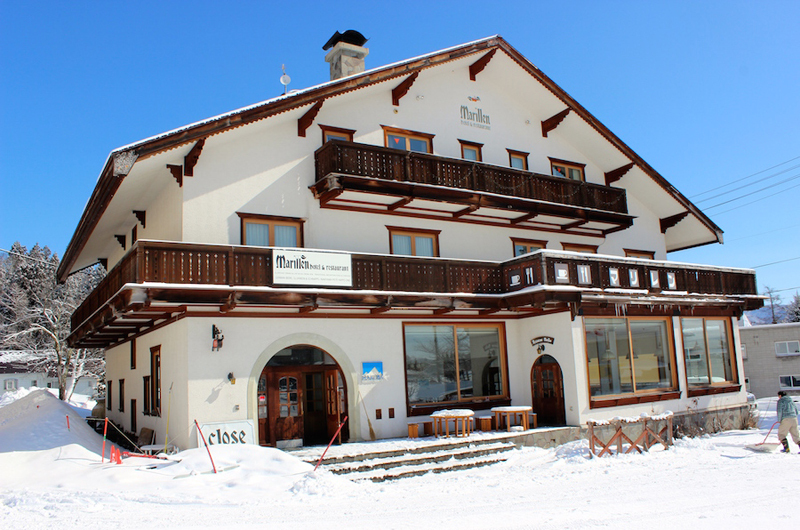 As far as accommodation options go, Marillen Hotel does have a slightly out-dated, retro character, however, it somehow suits the feel of both the resort as a whole as well as the European / Alpine style in which the hotel is presented. 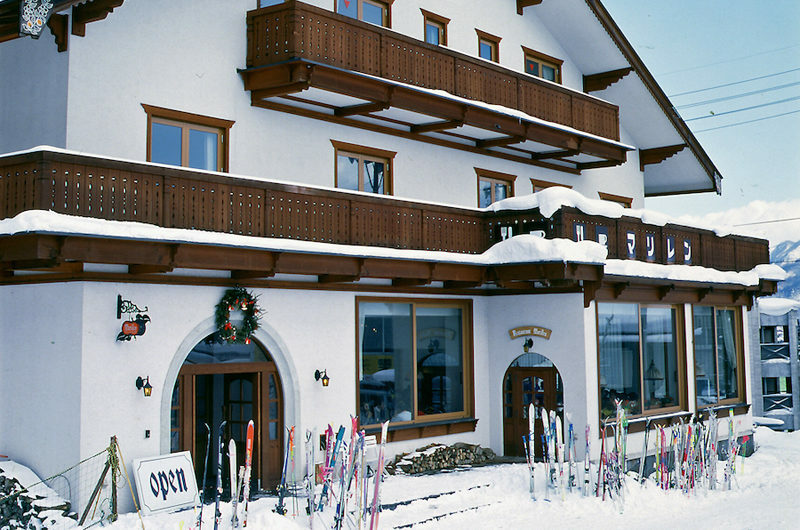 Ideal for small groups and families alike, 15 rooms across 3 floors provide a winning accommodation option for snow-obsessed skiers and snowboarders the world over – with many returning guests due to its friendly service reputation. 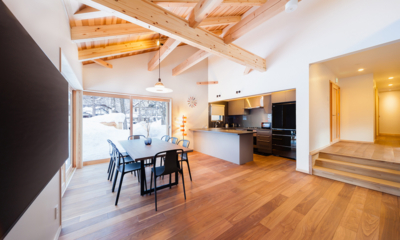 Slopeside views from the cosy living area keep guests amused as they relax by the open fire at Marillen Hotel. 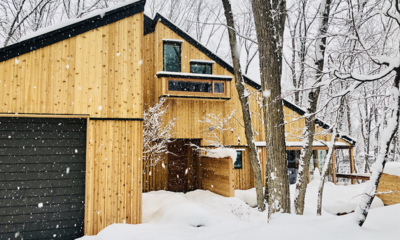 With free wifi, ski storage, and a drying room, the hotel has all of the necessary facilities that you might expect from such a popular place to stay. 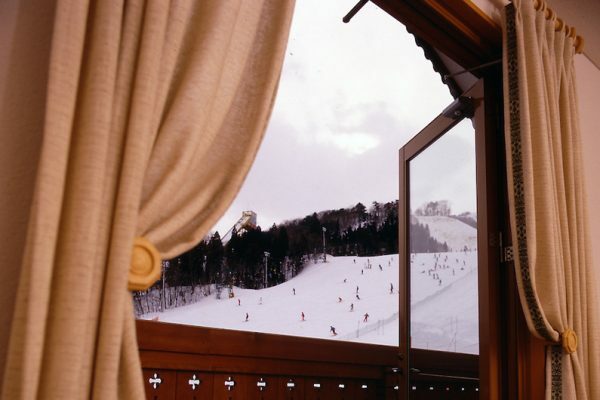 Additionally, the fantastic restaurant and bar housed within the building keep holiday-makers and locals alike coming back from hearty meals perfect after long days in Hakuba’s stunning snow. 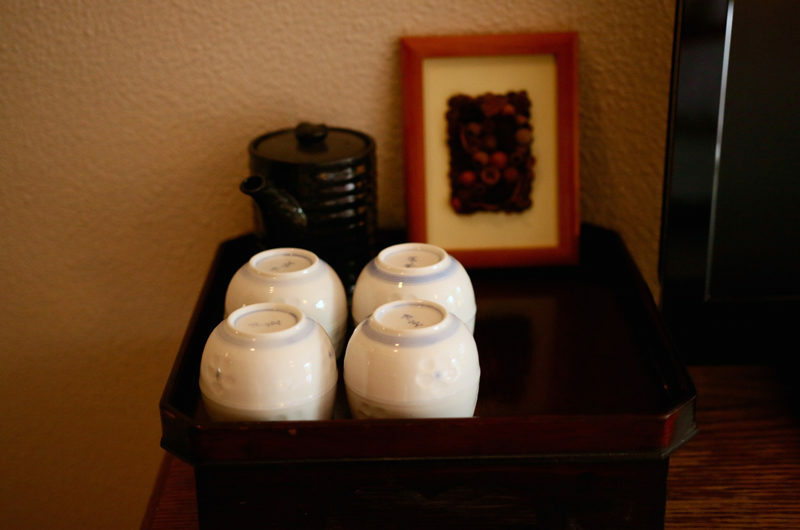 Breakfast, lunch and dinner are available, and so too are later afternoon drinks on the front-deck of the hotel. 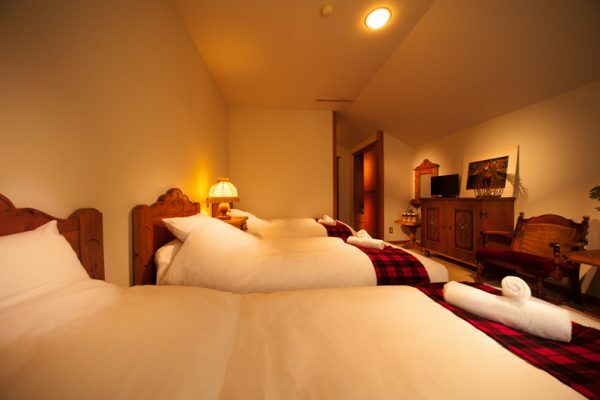 Western-style sleeping arrangements make for a very good night’s sleep at this hotel. 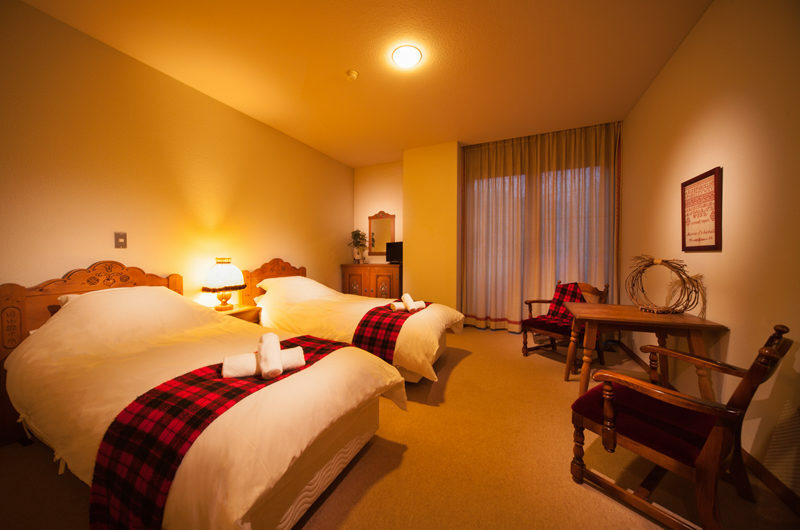 Rooms range in size and configuration, accommodating a maximum of 4 guests in the Quad Room (4 single beds) and a maximum of 2 guests in the Single / Double Room option. A Triple Room option is also available (including 3 single beds), and all suites come with a private bathroom. 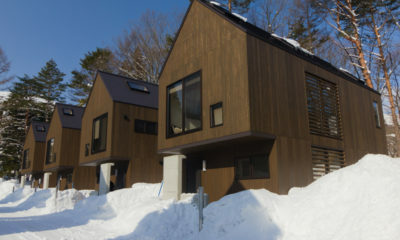 As expected, half of the rooms face the slope whilst the other face look back on the village. 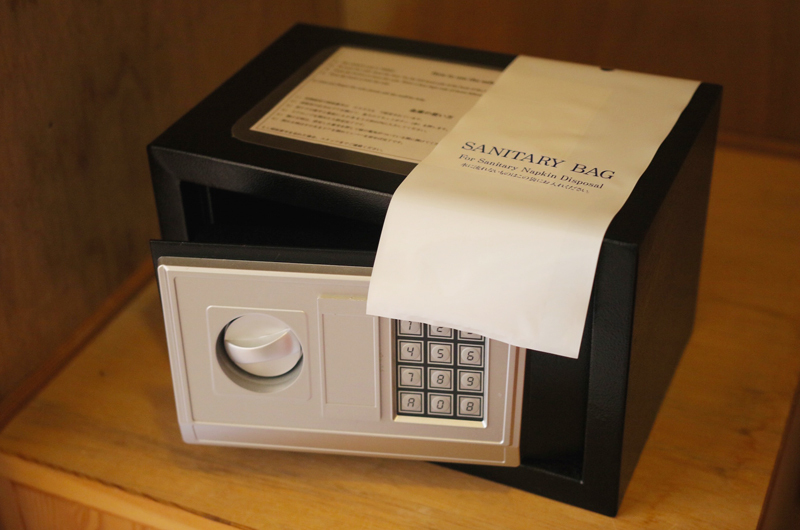 There are eight of these rooms across the two floors of the hotel. 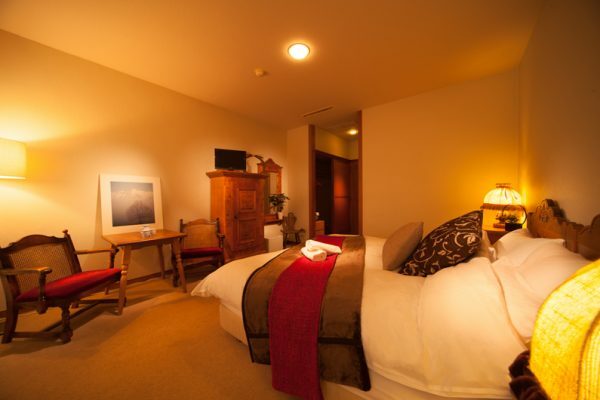 Up to two guests sleep in either one queen double bed or two single beds, depending on what you need. 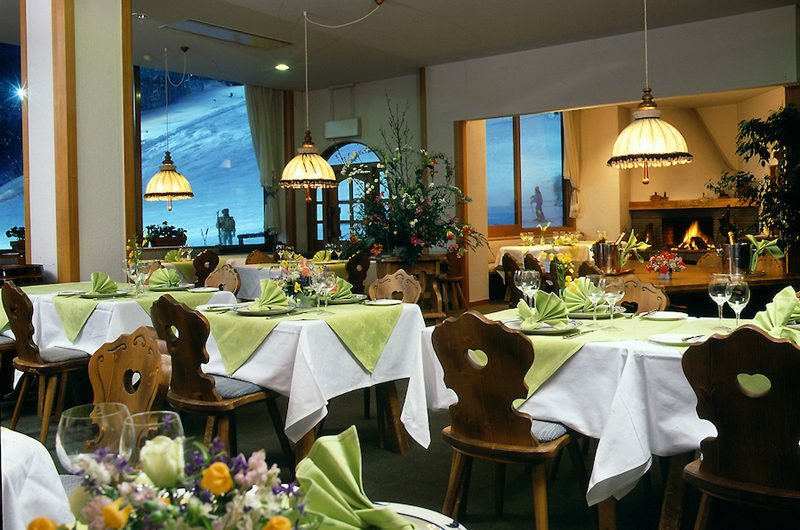 The furniture is in traditional Austrian style. There is a little seating area with two chairs and a coffee table for relaxing in your room. There is a closet with plenty of storage space for your things. 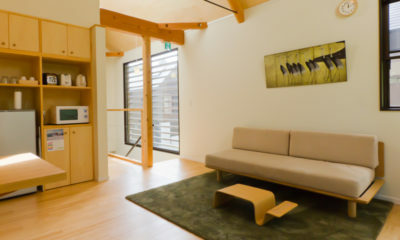 En-suite, the bathroom is a standard Japanese style unit bath with shower, bath, toilet, and washstand in one compact room. 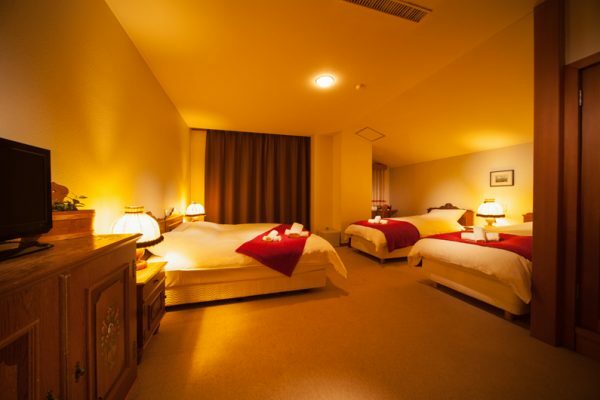 There are three of these rooms in the hotel, sleeping up to three guests. Beds can be arranged as either three singles, or one queen double and one single bed, according to your needs. There is a small LCD TV, a closet with storage space, and charming carved furniture with sofa and table for you to relax. 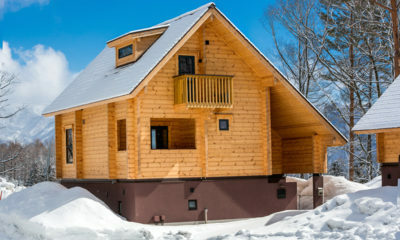 A small private balcony can be accessed from the slope side window, with views of the ski slopes right underneath. En-suite, the bathroom is a standard Japanese style unit bath with shower, bath, toilet, and washstand in one compact room. 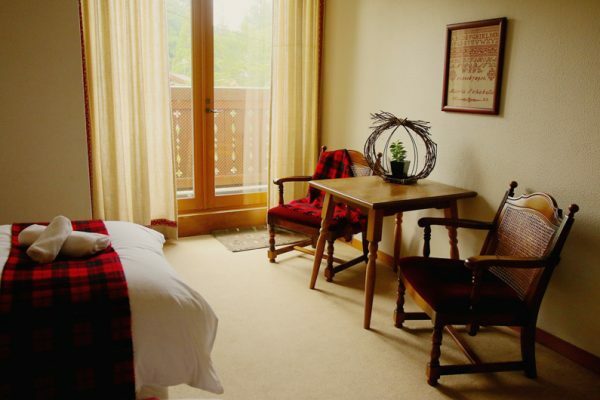 There are two of these rooms in the hotel, sleeping up to four guests each. beds can be arranged as four singles, or as one queen double and two single beds depending on what you require. 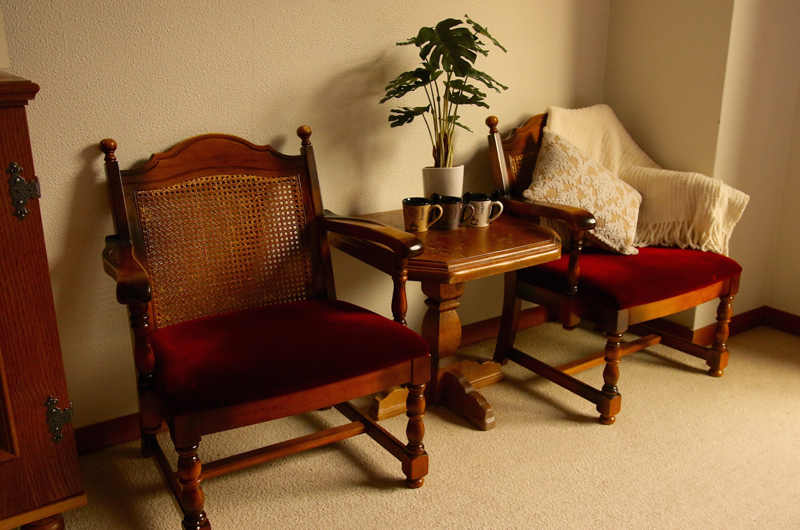 Charming hand-carved furniture in an Austrian style decorates the room, with seats and a table giving you some space to relax. 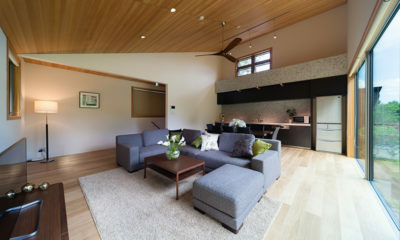 En-suite, the bathroom is a standard Japanese style unit bath with shower, bath, toilet, and washstand in one compact room. There are two of these rooms in the hotel, each of them sleeping up to four guests. The superior room is larger than the compact room, with beds set up as either four single beds, or two doubles and two singles. 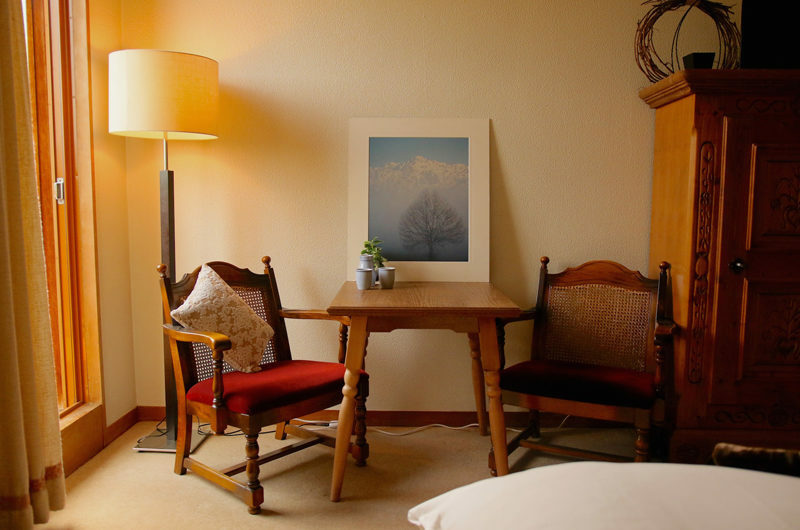 Charming hand-carved furniture in an Austrian style decorates the room, with seats and a table giving you some space to relax. 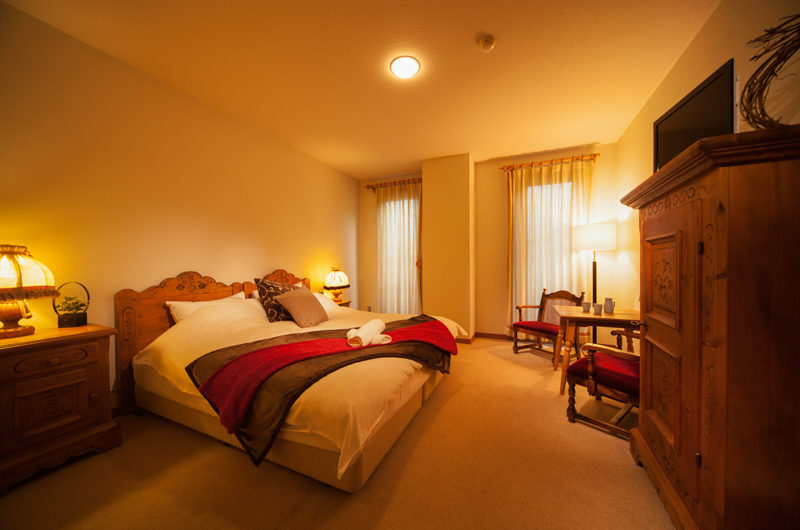 En-suite, the bathroom is a standard Japanese style unit bath with shower, bath, toilet, and washstand in one compact room. 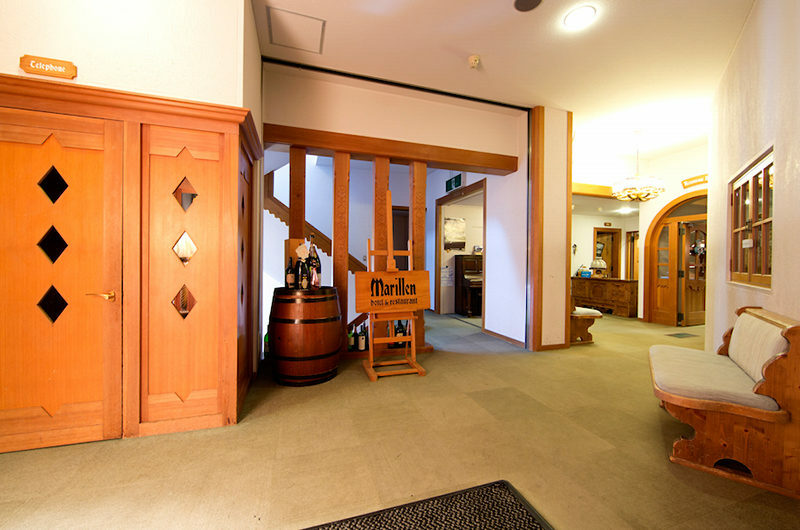 Because of its exceptional location right on the edge of one of the largest base slope areas in Hakuba, Marillen Hotel is a top choice for those looking to maximise their time on the mountain. 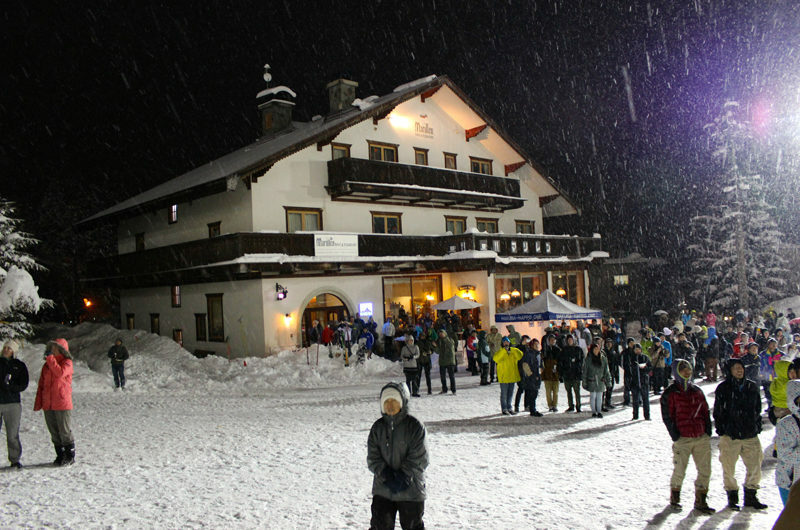 But as well as providing wonderful views of the surrounding Japanese Alpine landscape throughout the year, the hotel is also perfectly located for special events in Hakuba such as the Fire Festival and as New Years Eve Fireworks in the valley. The Marillen Hotel is right on the doorstep of one of Hakuba’s biggest resorts, the Happo One ski resort. The lift is a short 7-minute stroll from the hotel, while the sloes connect straight on to the hotel so that you can ski right back in. Or if you’d like to reach further resorts, shuttle stops are a short 100 metres away. 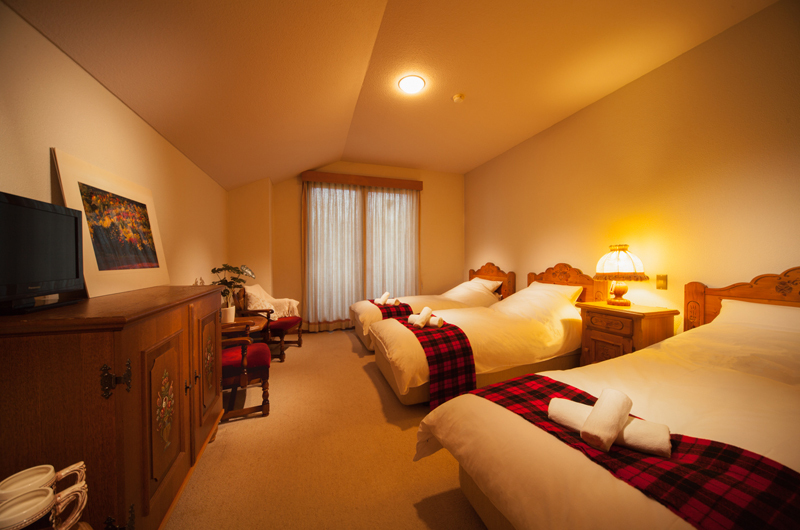 Marillen Hotel is not secluded from the rest of the town, with restaurants, shops, rental and shuttle bus stops to the rest of the Hakuba area just a short walk away. 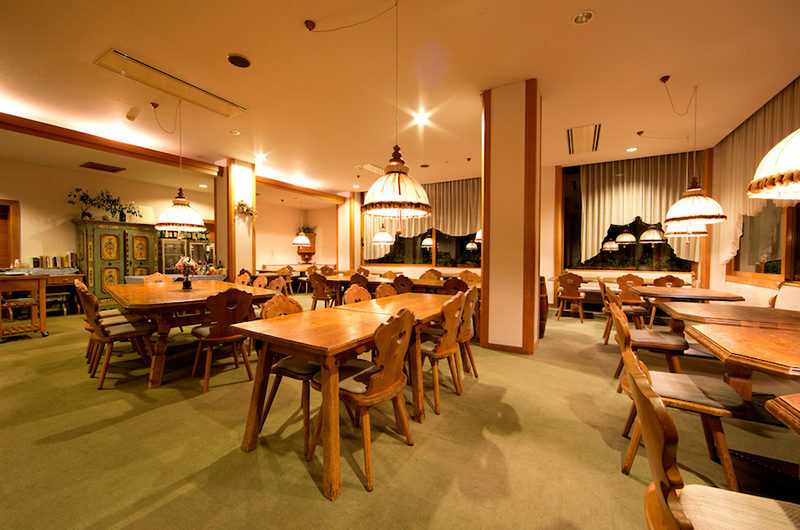 Enjoy Marillen Restaurant & Bar on site, or step out to reach both Japanese and Western style meals nearby. 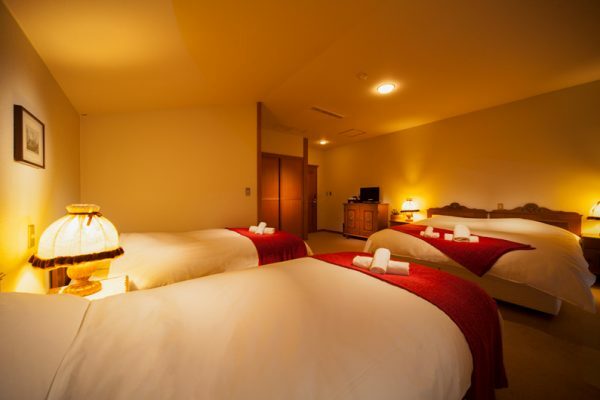 Stop by the nearby Sato Onsen for a hot spring soak after a long day on the slopes. 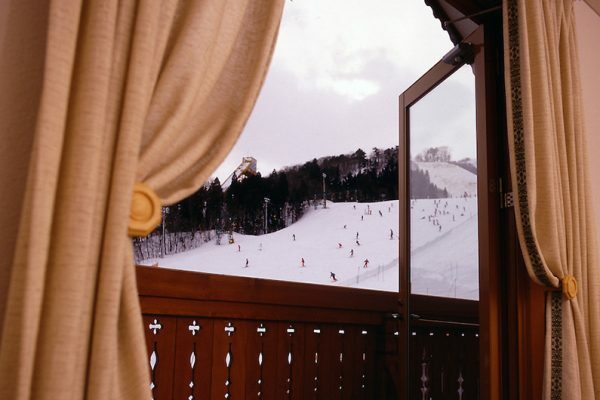 What an eye popping location – right at the foot of a chair lift and just by the ticket booth! 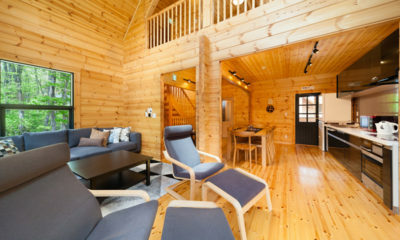 Marillen is a simple lodge style hotel. 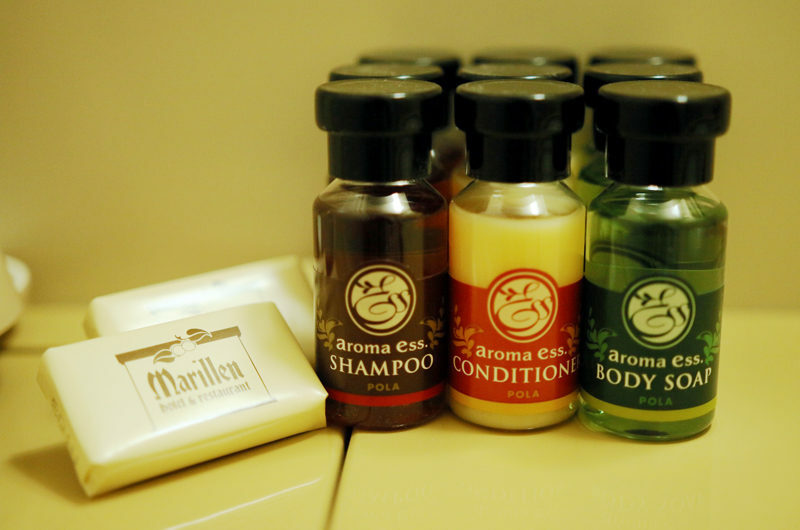 The rooms with private facilities are large, and comfortable. The “drop in” bathrooms are functional, but not flash. There is a large bar and dining room that overlooks the bottom slopes. Each afternoon is an entertainer – solo performer each night we were there. 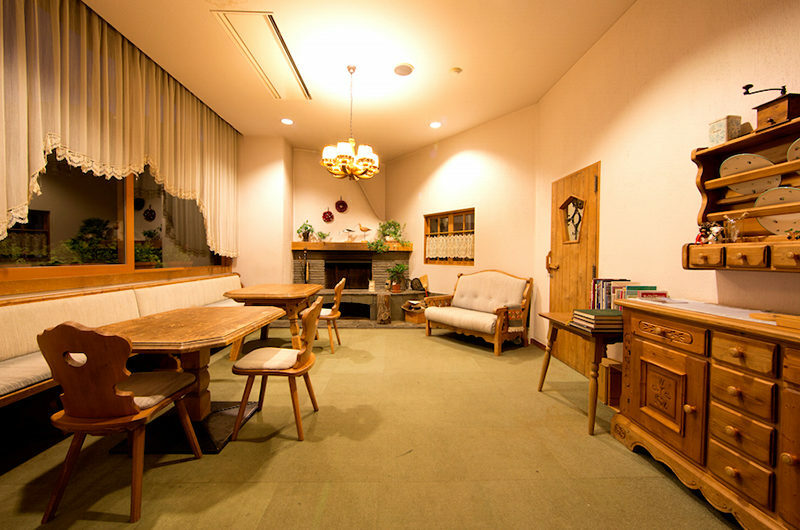 The Western Style breakfast is offered, again functional but not flash. Lunch and dinner offer western meals. 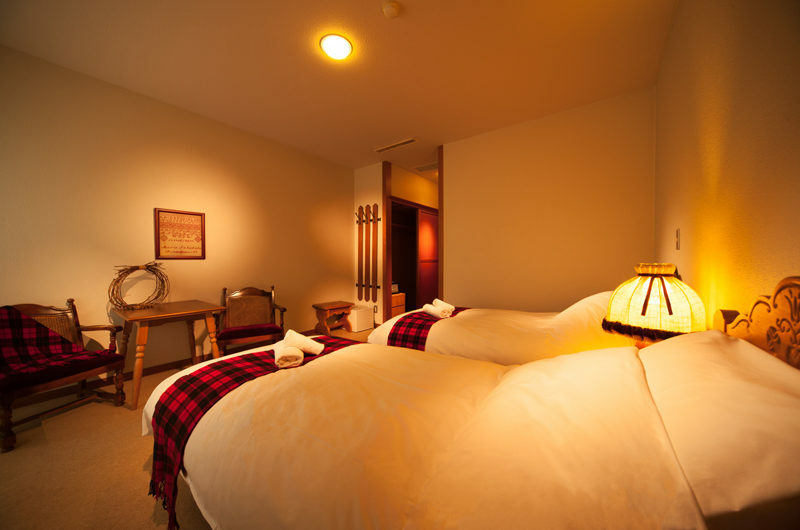 A relationship with the sister Hotel Hakuba Springs provides free access to a nearby Onsen. 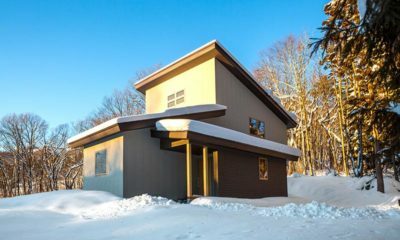 An excellent drying room downstairs offer secure ski, board and boot storage, and hooks for drying gear. Each morning you step into warm dry gear! There are a couple of washing machines and dryers that are free for guest use. 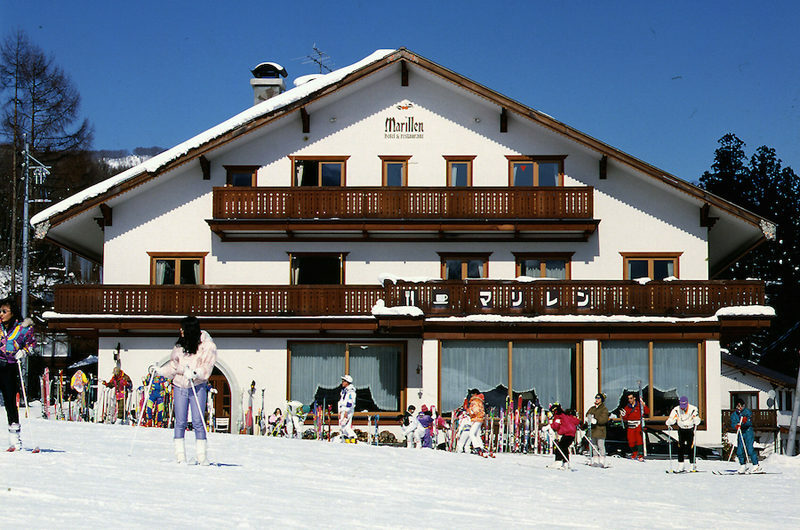 Two things set the Marillen apart – the location cannot be beat, and the extraordinary service from a well managed team. Naoko Haag assisted very ably by Joe run a great hotel operation. They are wonderful hosts and have ensured that we will be back.